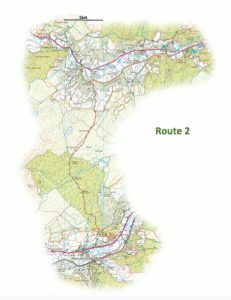 The Dolwyddelan Cycle Map introduces cross country cycle routes on broad forestry trails that can be used to explore the local area, reach neighbouring villages or provide a full day of o -road cycling in an area of outstanding natural beauty. The village of Dolwyddelan is situated in the picturesque Lledr valley, in the heart of the Snowdonia National Park. 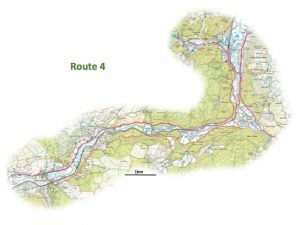 Nestled within the Gwydyr forest park the neighbouring communities of Betws-y-Coed, Penmachno, and Capel Curig are connected by a network of forestry tracks, quiet lanes and public transport links. 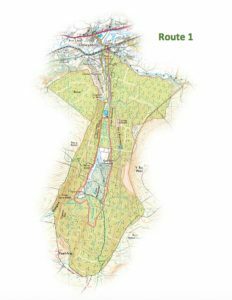 Dolwyddelan is a hub for off-road cycling activity with access to routes that connect three breath taking valleys containing the rivers Lledr, Llugwy and Machno. 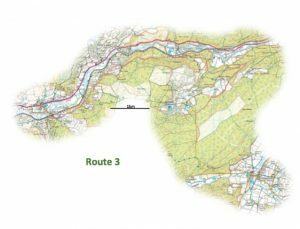 The area can also boast being centrally positioned in relation to three top class mountain biking facilities; the long established Marin Trail, the challenging Penmachno Trails and the extreme Antur Stiniog downhill trails in Blaenau Ffestiniog. 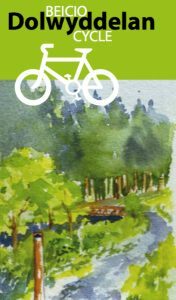 For the more adventurous you can cycle out to the dedicated mountain bike trails and ride exhilarating sections of single track before returning by your choice of route back to the village.